Responses flew out over the web yesterday after the Japanese newspaper the Yomiuri Shimbun reported Toshiba would produce a Blu-ray Disc player and possibly Blu-ray recorder by year’s end. But is this any surprise? I’m only surprised it took so long. To recap: Toshiba’s HD DVD format lost to Sony’s Blu-ray Disc in a battle for the next generation movie disc format. It ended in Feb. ’08, after the majority of movie studios sided with Sony’s format. At that point Toshiba had no real choice but to concede. 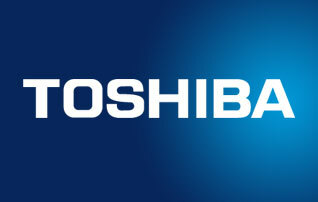 Now, almost a year and a half later, rumors are Toshiba will produce a Blu-ray player and possibly a Blu-ray Disc recorder. Is it a smart move? Of course. Put all pride aside and remember they are an electronics company and that’s what electronics companies do. Blu-ray discs are selling. Home Media Research reports Blu-ray Disc revenue is up 149.25% (week ending July 12) from the same week last year. If Blu-ray Discs are so hot, why not provide a player? Now if they were smart they would introduce a low priced player. Toshiba is a trusted brand so if they can bust out a BD player for less than $150 they could easily bring home some of the market share. Some say Blu-ray Disc may never reach the level of market penetration DVD has had, if digital downloads and video on demand technology continue on the upward trend. But it will be interesting to see how one would deal with the large hard drive capacities needed to hold 1080p quality extended version movies, TV series and disc sets with all the extras and outtakes. For now, Blu-ray still rules the roost. Let’s just hope for Toshiba’s sake digital delivery doesn’t completely overtake the packaged media industry. Otherwise, losing twice in the same battle could certainly have an effect on one’s pride.